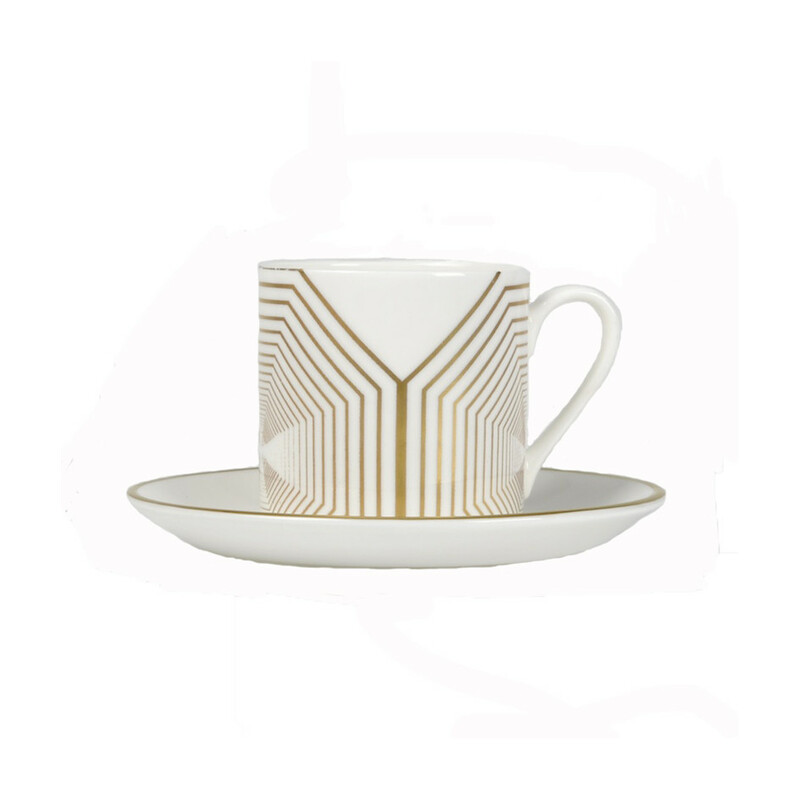 This white cup and saucer from the 'Infinity' range are both crafted from fine china. The image is printed by hand and then the banding is hand painted by Nicola. The range has an art deco feel.